Making your hearth beautiful often lends itself to the use of fireplace accessories. Whether it's the use of one of our decorative firebacks or hearth rugs, you can find a wide selection available at eFireplaceStore! We also have a variety of fireplace parts and supplies to make your hearth pleasing to look at as well as functional. Do you still have the heat operated fan that sits atop a wood stove? Unfortunately, we do not carry parts for door assemblies. Can drawer handles be used to replace fireplace door handles? I don't see a reason why, so long as the hole spacing is correct and they are noncombustible. 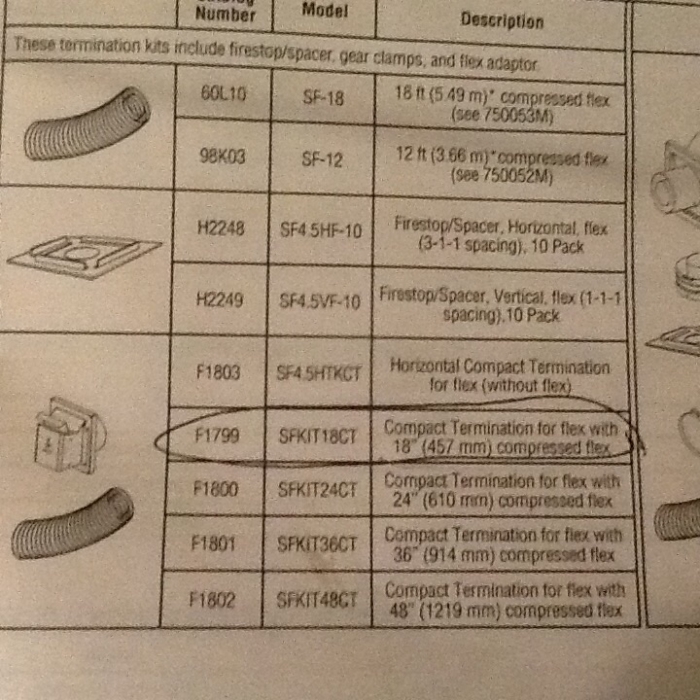 Do you sell "compact termination for flex with 18" (457 mm) compressed flex" for Superior Direct Vent Fireplaces? I need #F1799 model SFKIT18CT. The correct item on our site is the Superior SecureFlex Flex Small Termination with 18 Inch Flex Vent - SFKIT18SS. Do you have any Fireplace sound effects products? We do offer the Real Fyre Crackler with Pine Cone Cover - PCC1, which can be installed in a masonry or prefabricated fireplace with gas logs to give a more realistic wood burning effect. Our fireplace accessory collection includes all of those little add-ons and extras you need to transform a standard fireplace into a unique home furnishing. We carry a wide variety of natural and gas fireplace accessories and fireplace supplies, including tool sets, hearth rugs, log holders, and decorative screens - all selected for their durability and elegant style. They are all offered to you at affordable prices. Plus all orders over $99 ship free! If you need any advice on what works with your fireplace, feel free to contact our NFI certified technicians to assist you in identifying what is needed. You can shop with confidence knowing that eFireplaceStore offers the best prices on any fireplace accessories you may need!